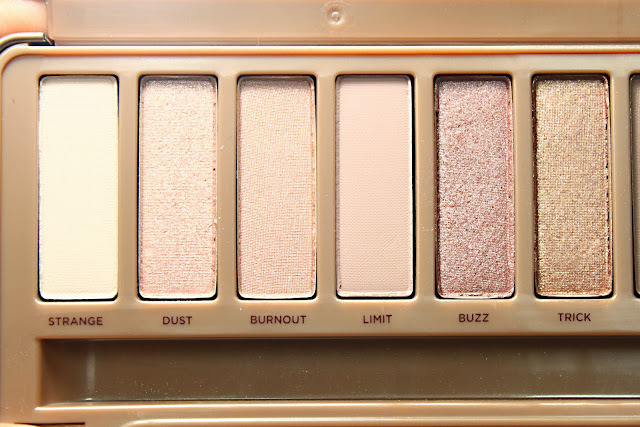 Finally I had my Naked 3 Palette! 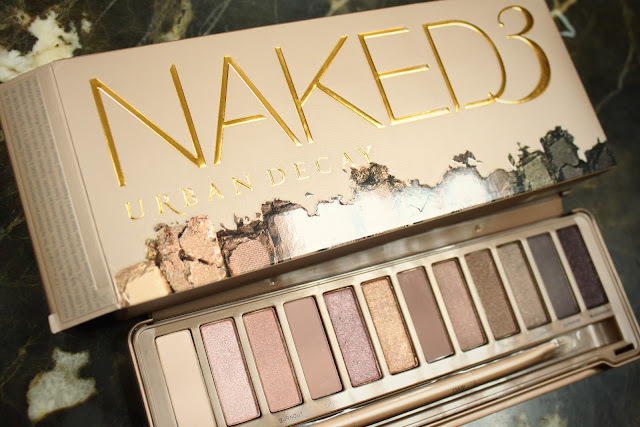 At last Urban Decay Naked 3 Palette is available now in Sephora Dubai and Abu Dhabi. And if you're like me and been a fan of the Urban Decay's Naked line then you know how it feels when this palette was released. Honestly, I wasn't expecting that the Naked 3 will be available here in the UAE that fast usually it took months but I think they know that the Naked 3 will be a big hit after being sold out so fast online and in stores. 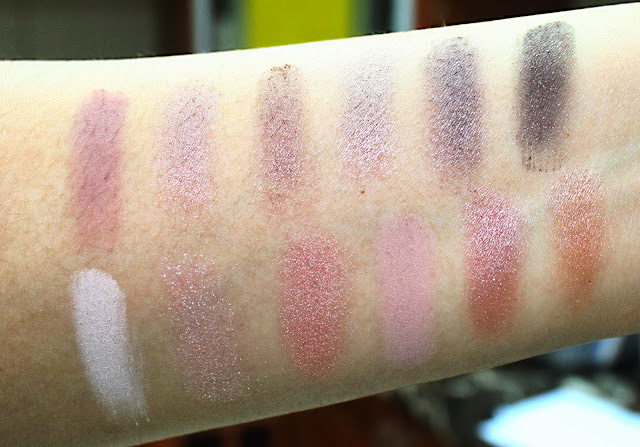 The Naked 1 was on the bronzey hues more on the warmer colors the Naked 2 was Taupey hues which was on the cooler colors and the Naked 3 was on the Pink rosey hues which I think will suit warm or cool tones. Looking at it on the Urban Decay's website I really wanted it so bad because who doesn't love pink and rose colors it suits everyone. Plus the packaging design is incredible like a rosey gold tin like the Naked 2 it also comes with a double ended brush and a sampler of the very famous Primer Potion. Naked 3 still comes with 12 new rich creamy eye shadows a mixture of matte, satin and shimmer like the previous two palettes from lighter to darker shades. First shade it the Strange which is described as a Pale Neutral Pink Matte-Satin - This is great for highlighting as always the first shades are. Dust is the second shade and it's a Pale Metallic Pink Shimmer with iridescent micro-glitter, this one I find it a bit hard to work with but great as an accent like put it on top of your eye make up to give it a nice sparkle and I think it will be better to apply it wet that's what I did the first time I used it. Burnout is a light pinky-peach satin this is really really nice love it on the inner half of my lid to brighten that area. Limit is a light dusky rose matte good for transition color. Buzz a metallic rose shimmer with silver micro glitter one of the medium color and great for all over the lids color. Trick is a light metallic pinky-copper shimmer with tonal micro-sparkle this has a gold tone that reminds me of the naked 1 & 2 Half baked but this is more like the Naked 3 version with a coppery tone. Nooner is a medium pinky-brown matte a great blending color. Liar is a medium metallic mauve shimmer and I'm loving this so much one of my favorite on this palette. Factory is a pinky brown satin also a perfect lid color and another one of my favorite. Mugshot is another one of my favorite and it's a metallic taupe shimmer with light pink shift perfect even alone. Blackheart this one is crazy color black and red just crazy like great and unexpected its described as smoky black matte with rosy red micro-sparkle. All I can say is that this is a must have. 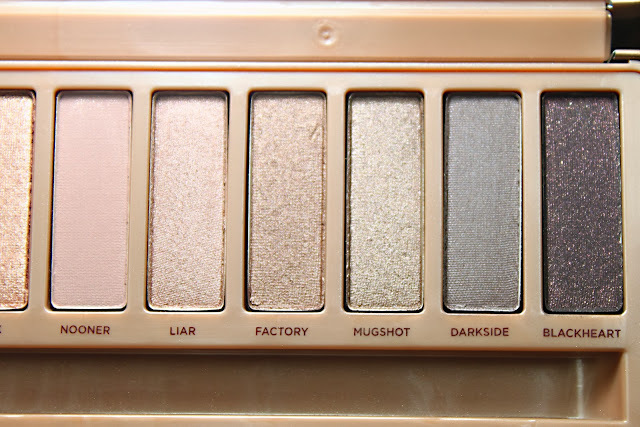 Ranking the 3 Naked Palette this will win the 2nd spot. First of course will be the Naked 1 and last will be the Naked 2 since it suits more cooler undertones. I can't wait to play with this more and this will stay in my makeup bag for months. Right now I don't want to choose what's my top favorite because I can't choose which is which but my least favorite I think is the Dust but I still can work with it like applying it wet. This is sold in Sephora Dubai and Abu Dhabi for AED 279. So if you are interested in the Naked Palette 3 get it before it's gone because for sure it will sell out fast.